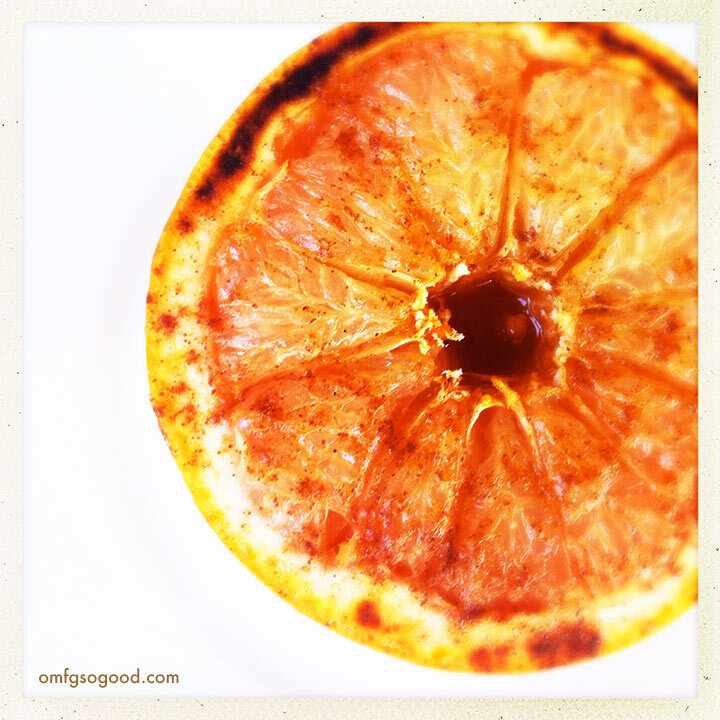 vanilla cardamom broiled grapefruit | omfg. so good. Here’s to 2014 being super-duper-bad-to-the-bone. 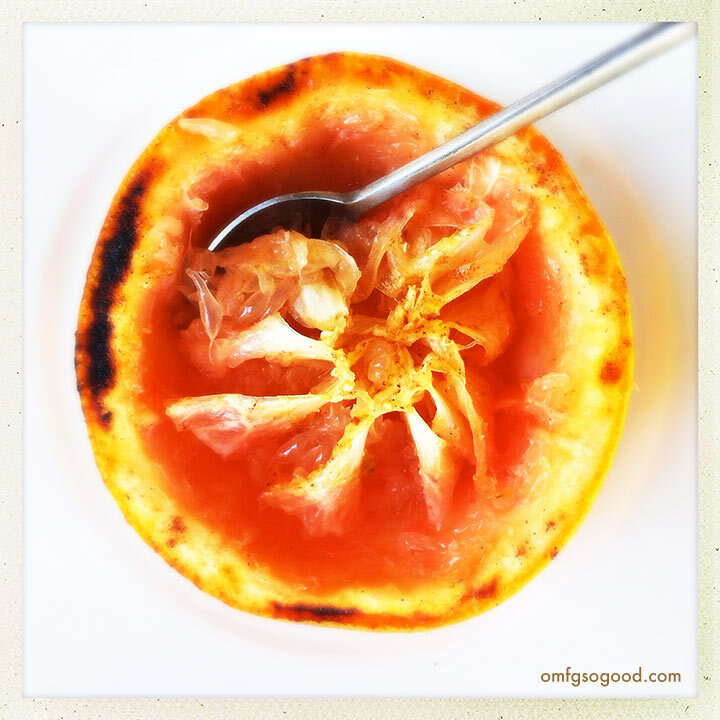 And in support of a good portion of you, my adoring fans, who more than likely made the resolution to ‘eat healthier’ this year, I’m posting a recipe for delicious (and healthy) broiled grapefruit. I know, it seems odd. But trust me, it’s delicious. 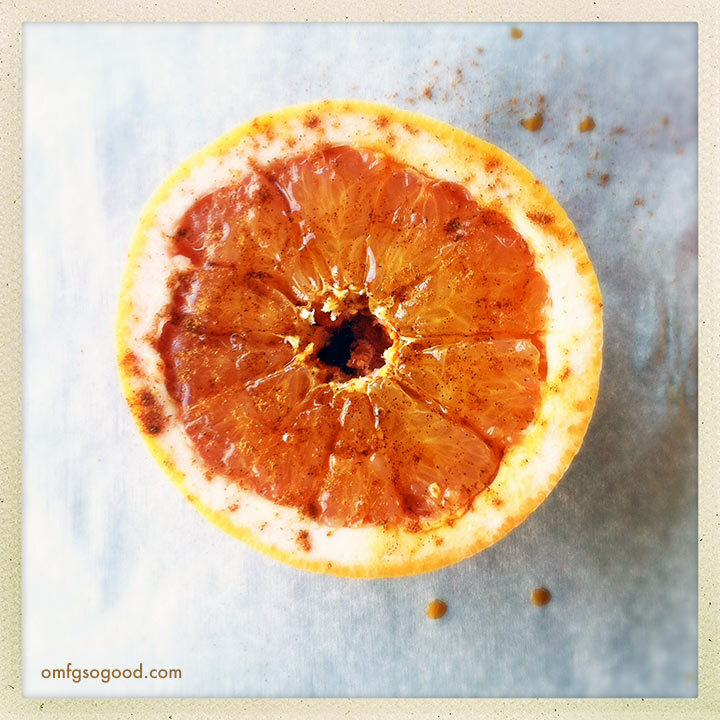 Plus, if you’re anything like me, you’re probably craving citrus now that it’s winter, a.k.a. germ season. It’s like my body is screaming at me to build an army of super Vitamin C Minions to blast away any impending invasions. Minions are cute. Broiled Grapefruit Minions are cute and yummy. Preheat the oven to high broil, and position the rack to the top 1/4 of the oven. Line a sheet pan with parchment paper, cut the grapefruit in half, and use a small paring knife to separate each section from the surrounding membrane. In a small dish, combine the honey and vanilla and stir to combine. Drizzle the honey/vanilla blend evenly over each grapefruit half, then sprinkle with ground cardamom. Broil the grapefruit on the prepared sheet pan for 4 – 6 minutes, or until the honey begins to bubble and slightly caramelize. Remove from the oven and cool slightly before eating. Serve warm or at room temp. Vitamin C Minions, work your magic.